I didn’t write here long time and I only wrote when it is a new game announcement 🙂 but there was lots of things happening before that silence and I didn’t have time to tell you about its results or what happened (because I am a bit busy and lazy :S) so I decided today to write about all missing things here. Balls (new game) is OUT!!! Just use the mouse to aim and press to shoot your Ball, Same color Balls explode on contact, Blast all Balls. 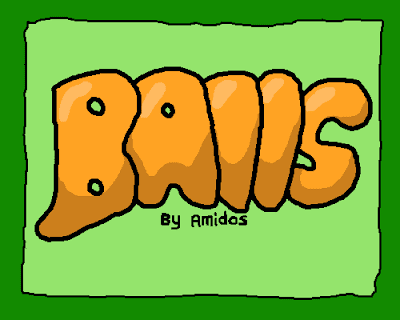 This experimental game is different from all the other because if the prototype works well, We(Omidos) will make a large scale project called “All my Balls” and will be our(Omidos) second commercial game. There are alot more information I want to share with you but I am busy these days so I will share them as soon as I became free again. Long time since the last update about 2 or 3 weeks I think :S I am sorry about that but I was so busy organizing the first Arabic GameJam held in Egypt where the main host of the event is GameTako (Arabic online game portal where it host arabic games) so I am sorry for that. I am sure you are asking did I make a game in the jam? since I was handling some organization stuff so I had only 1 day and half to create the game so I cooperated with Ahmed Saker (a fellow indie developer here in Egypt) and Ahmed Mounir (an amazing artist and he is behind all the game art) to try to finish the game but he couldn’t do that as we were using Unity3D and I am somehow not familiar with it so I was not speedy in working so we only finished a prototype of the engine and submit it. Clean’Em Up is finished and will be released on Desura in 3 days (22/6/2012) 🙂 Keep tuned to @OmidosGames twitter account on launch day for competitions and gifts for the game launch. Every year I wanted to participate in Imagine Cup 🙂 but I never have the power to enter alone 🙁 but this year a friend of mine (Omar Khaled Shokry) also wanted to enter Imagine Cup, so we decided to enter but the game must be fun and at same time address tough problem the world is facing and trying to solve it so we thought a lot and since me and him loves the fast pace action, So we decided to make Clean’Em Up.